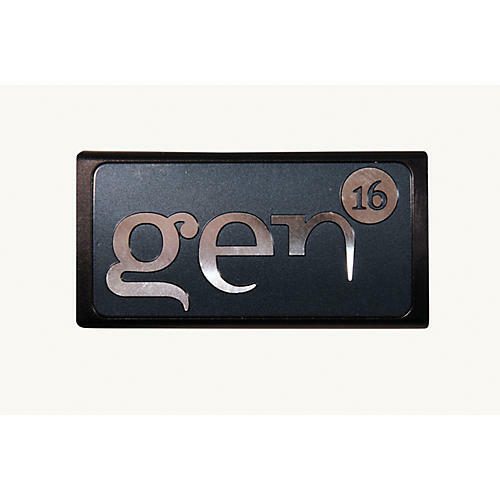 This stylish AE Rack Gen16 Badge is the perfect complement to your AE drum rack. Constructed with an aluminum face plate and an ABS plastic housing, this Zildjian AE Rack Gen16 Badge is the perfect complement to the AE Rack. The face plate is recessed allowing the metal and ABS sections to seamlessly join together. The badge is durable, strong, and designed to be easily disconnected and placed in any of the rack bar channels. Forty percent of the volume, 100 percent of the feel. Order today.